MIAMI, FL--(Marketwired - December 10, 2015) - Rick Wesslund, Founder and Chairman of BDC Advisors, LLC, a national healthcare consulting firm, announced today that Alan E. London, MD, an internationally recognized physician leader and expert on the creation of retail and consumer healthcare businesses has become a Senior Advisor at the firm. Until recently, London served as Vice President, Strategic Clinical Partnerships for Walgreen Company, where he provided strategic direction and leadership for the expansion and clinical management of the company's retail and consumer healthcare business, while serving as Chief Medical Officer for Take Care Health System, Walgreen's 400+ retail clinic division. Alan is a dedicated entrepreneur and continues to work with select, cutting-edge start-ups that hold promise to redefine healthcare delivery. Alan London has also been an active member of The Leadership Institute, a membership organization of advanced delivery systems, that is BDC's sister company, and serves as LI's medical affairs chair. Wesslund commented in welcoming London to the firm: "Alan has a distinguished background as a physician executive and successful business entrepreneur. 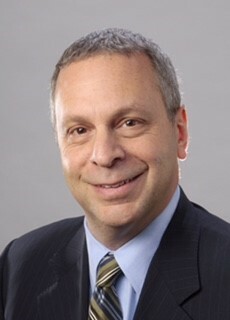 He has served as a key executive in three of the largest and most significant healthcare providers in the nation: Walgreen Company, The Cleveland Clinic, and Tenet Healthcare. His expertise includes the formation of strategic healthcare partnerships, hospital/physician clinical organization, and consumer and retail healthcare business entrepreneurship. This makes Alan unusually well qualified to advise the large academic and integrated healthcare delivery systems BDC serves on how to position themselves organizationally and strategically to take advantage of the disruption, growth, and innovation occurring in the retail, consumer, and digital healthcare marketplaces. Alan is a proven business leader with an unusual breadth of experience working on the cusp of the changes affecting our industry. We are very pleased to have him join our consulting team." Prior to assuming his leadership role at Walgreen Corporation, London was Founder and President of London Group International, which he organized in 2007 to provide innovative healthcare solutions and business development options for health systems, insurers, governments, physician groups and the investment community. From 1995 to 2007, London served as Executive Director, Managed Care, and then International Business Development at The Cleveland Clinic, and Chairman, Cleveland Clinic Health System Physician Organization. He was previously EVP and National Medical Director of Tenet Healthcare Corporation, where he created the Medical Affairs Department, supervised the early adoption of EMRs and was responsible for the P&L of company owned health plans in California, Louisiana, and Florida. BDC is a national healthcare consulting firm headquartered in Miami, Florida, which focuses on strategic business planning, payer and provider innovation, population health management, organizational design and development, and patient engagement and business innovation. For more information, contact Dudley Morris, Senior Advisor, at 805-565-3240, Dudley.morris@bdcadvisors.com. London's complete bio can be accessed at this link: Alan London, MD. London can be reached at Alan.London@bdcadvisors.com.